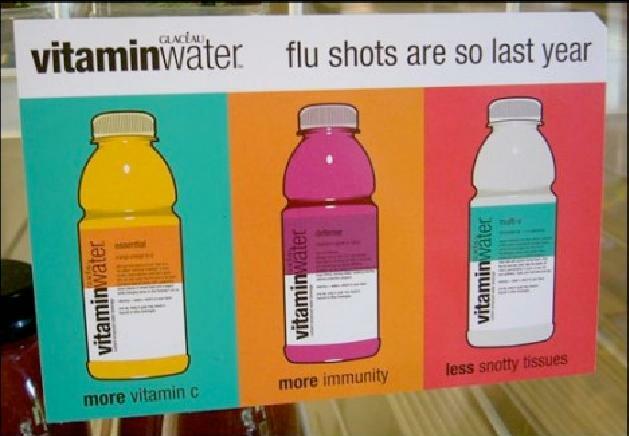 Weighty Matters: Canadian Vitaminwater class action lawsuit launched! Canadian Vitaminwater class action lawsuit launched! I wonder if they're use the same defense as they seem to be doing in the American class action suit. The, how could anyone possibly take our advertising seriously defense. "These putative class actions allege that the Defendants' committed deceptive or unfair trade practices by marketing Vitaminwater as a healthy beverage, in circumstances where a standard 591 ml. bottle of Vitaminwater contains 32 grams of added sugar. In comparison, the American Heart Association recommends that the maximum daily consumption of added sugar not exceed 25 grams for woman and 37.5 grams for men." Wanna get in on the action? Right now the suits have only been launched in Alberta and British Columbia however the law firm's intake form includes all of the other provinces as well. Either way, here's the link to the lawsuit, and here's the link to become a class action member. Oh, and hey, sugar water? It's probably not going to replace flu shots anytime soon.